From an equine therapist and rider comes a training manual, based on the Horses Inside Out philosophy: 'Understanding Anatomy Improves Performance and Reduces the Risk of Injury'. 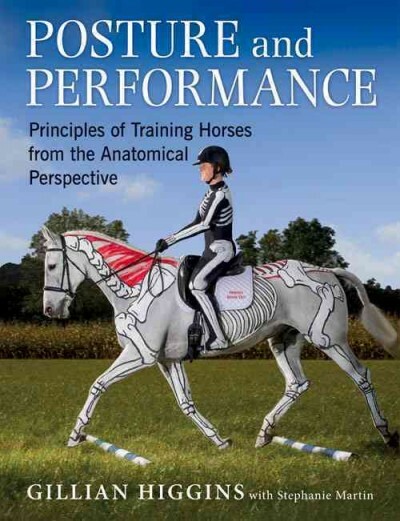 Divided into three main parts: Principles of Anatomical Riding and Training; Exercises for Horse and Rider; Troubleshooting, the book contains a wealth of practical tips and exercises broken down into easy to follow, well-illustrated steps showing how riders can improve their riding skills and potential. The author suggests ways to improve horses' physique, posture, flexibility, stability, core strength, performance and movement and how to reduce muscular and movement problems, and reduce the risk of injury. This beautifully illustrated book looks at how to deliver a safe, varied, fun, effective and achievable training program. It provides all the ingredients for riders to make informed decisions to maximise their own and their horse's potential, gain more enjoyment, satisfaction and improve their skills.